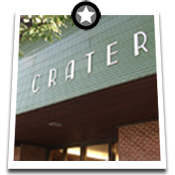 A 2001 Crater graduate. 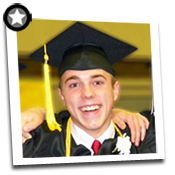 Shane was an all-around gifted athlete who played baseball and wrestled but found his greatest success and future was in wrestling. He was a three time state wrestling champion and was a major part of three Crater High School state wrestling championships. In addition he was a member of the 1999 Kellogg Scholastic Duals All-Tournament Team and was a two-time Reno Tournament of Champions Champion. 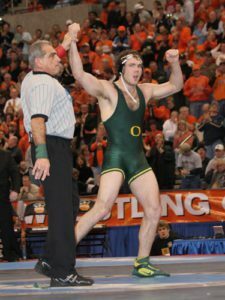 Shane was a 2001 First Team Asics All-American, was named the outstanding Wrestler for the 2001 Western Regional Freestyle Championships and was the 2001 Oregon Wrester of the Year. His high career record was an amazing 160 – 6. 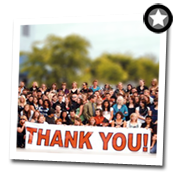 Upon graduation, Shane moved on to the University of Oregon with an athletic scholarship. At Oregon, he distinguished himself as he was a two time PAC 10 champion at his weight class, was recognized as an All-American twice, qualified for the NCAA wrestling championships all four years while at Oregon and was 2006 NCAA National Champion at 184 lbs., only the second wrestler in Oregon history to do so. He holds the University of Oregon single season record for winning percentage at .973 and ranks fourth in career victories. Shane was inducted into the University of Oregon Sports Hall of Fame on September 23 and has also been selected for the PAC 12 All-Century team. Shane received his Bachelors of Arts degree from the University of Oregon in 2006. Shane now resides in Canby, Oregon. In his free time, Shane enjoys spending time with his two daughters, and hunting and fishing. He is a partner in a pest control business.